As I mentioned before, next year I am going to teach low level students, so I am trying to prepare some materials which I will be able to use with them. A week ago I wrote a post on the verb to be in affirmative and negative sentences. In this post I would like to explain the creation of questions with the verb to be. 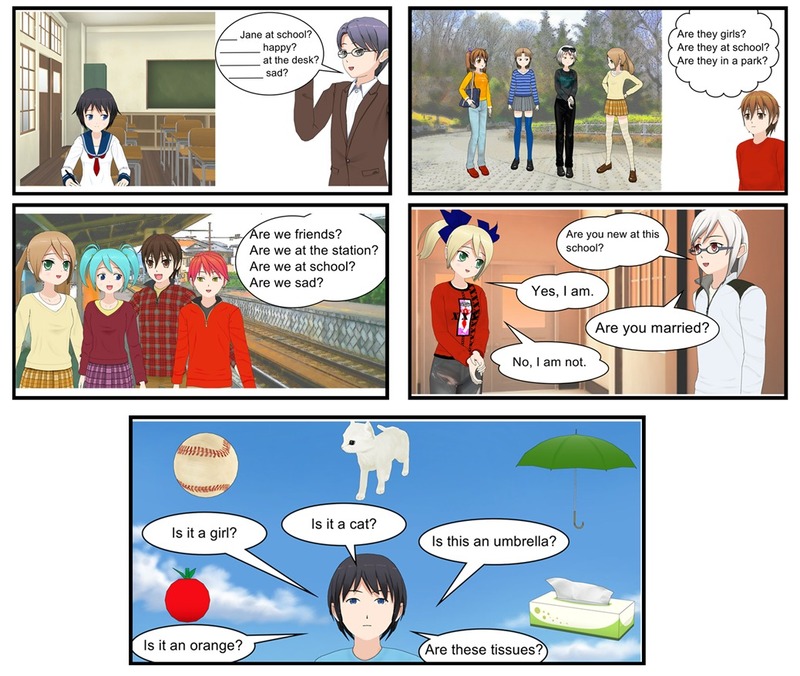 In this post there is a mind map showing the usage of the verb to be in questions and then there are several pictures with examples. Under the pictures there is a simple quiz repeating what the students have just learnt. Then there are two quizes to practise the questions and short answers. 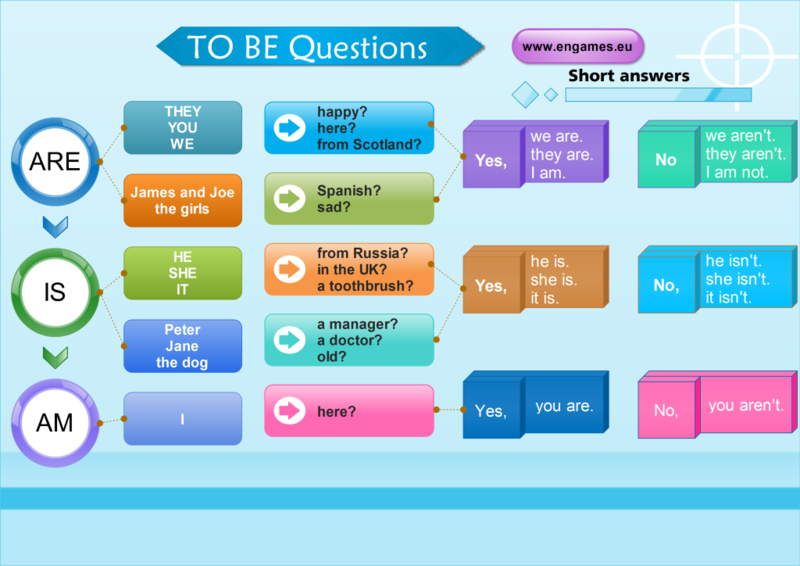 Here is a simple mind map showing the way the questions are made with the verb to be. Simply swap the verb and the subject. In the short answers you say YES/NO + the pronoun and the verb to be. Let’s start with something really easy. Your task is to complete the questions in the same way as they are in the example above. All the games in this section are in HTML5, so they should work without any problems on your mobile devices. It was really easy, wasn’t is? Let us try something more difficult. Try to complete the questions in the following quiz. If you succeed you will get a chance to play the game Tower Defence. Good luck. And now it is time to practise your short answers to the questions. Try the following quiz and if you pass it you will have a chance to play the game called Tic-Tac-Toe. Will you win? please leave the embed code so people like me can share such fantastic games in our webistes, all credit goes to you, but your games are massive when other people can have access to them in other webpages besides this. In the school is the jane sitting on his desk happy or sad? Engames.eu . this is wonderful resource especially for the deaf students. I am at the JS Academy for deaf SMS Karachi. I have been searching for teaching English grammar to the deaf students I found this resource house wonderful I say thanks and hope you would be developing such type of learning matrial and be helpful to the deaf also. Thanks for share all . I am glad about this. I have looked through only one topic Infinitive or Gerund and I loved it. I am a retired ESL teacher but I have one student though, he is my 13yo grandson I have been teaching on Skype since Mach 2013. I have been using a lot of ESL sites to make my teaching fun for him. I must say yours is one of the best! Thank you! Thank you. I am glad you like the materials.